NJ Home Sellers: Price It Right and Come Out On Top! 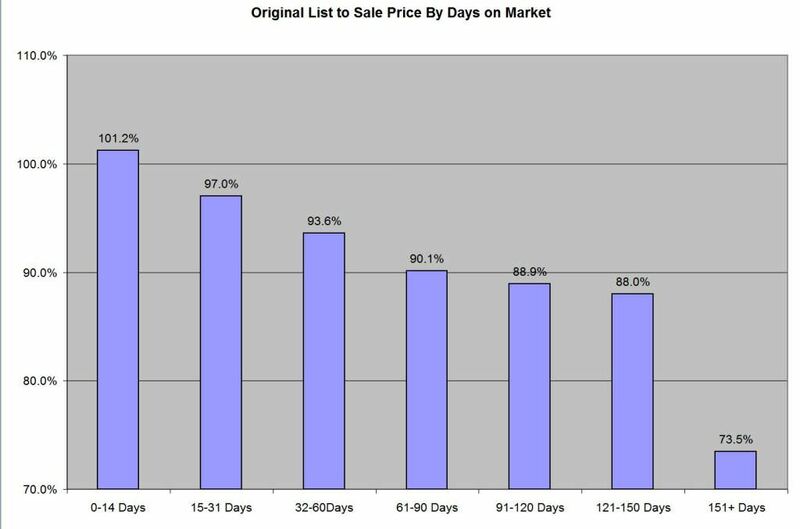 Buyers: “Days On Market” can help you gauge your offer! It is well known by NJ Midtown Direct Trainline Town real estate professionals that a well priced home generates tons of interest amongst buyers, and creates demand for that house…. in any market. It actually creates a Seller’s market, even when it’s a Buyer’s market. The average list to sale price ratio for Sue Adler Team listings sold over the past 12 months is 99.3%. When you are interviewing realtors, choose wisely based on the marketing strategy that will create the most demand for your house. That is how you will get the highest price and best terms for your house. As you can see from the chart, the longer your house is on the market, the more buyers feel they can negotiate on your price, which puts the buyer in the driver’s seat. When a house sells within the first couple of weeks, there is a sense of urgency because this is when you get the most traffic on your house. The initial group of buyers looking at the house are the ones waiting for a great house to come on the market and the motivated ones are ready to jump all over it if they see the value. As the “Days on Market” grow, the number of showings decrease – the house typically becomes stale, invisible, and basically forgotten. It might as well be “out of the market” if the price isnt adjusted to where the buyers will see the value. Buyers worry about overpaying for it because they feel that if no one else bought it, it must be overpriced so they make a “low ball” offer. Sellers unwilling to adjust their pricing based on the feedback of the market – “I’m not in a hurry” or “I’m not giving my house away ” or ” I need to get $x” should consider taking their home off of the market. Otherwise it will be frustrating for all parties – the Realtor, the Seller, and even buyers who get annoyed when houses are overpriced. Remember, all of the marketing in the world will not sell an overpriced house. On the flip side, Buyers, you can’t steal that brand new listing with the new kitchen on the quiet street. However if a seller has overpriced their house, the more time that goes by, the more the Original list to sale price ratio is in your favor. Very frequently however, a serious price reduction can have a similar effect as a new listing has, so remember, it’s the ORIGINAL list price that these numbers are based on, not the reduced price amount.